Whether you are moving or trying to keep up with a growing family or business, Metro Self Storage has Sheepshead Bay storage units that will meet your needs. We offer covered loading and unloading and climate-controlled storage conveniently located off the Belt Parkway in Brooklyn. One of our most popular storage unit size is the budget-friendly 5X5 unit, and it’s a great choice if you need a bit more space to corral those seasonal odds and ends or boxes of files. We understand that nearby apartment dwellers, homeowners, and businesses appreciate easy access to their belongings. 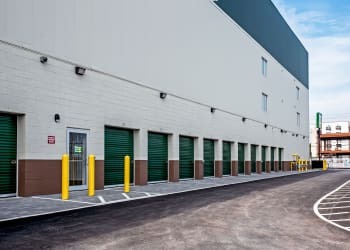 If you need to store the contents of your entire household, our large storage units come with options for first-floor access, and all units are inside our climate-controlled Sheepshead Bay storage facility. Whether you are looking for a short-term or long-term storage solution, with month-to-month storage rentals we make it easy to move in with Metro. When you are ready to select a storage unit size, our knowledgeable team will guide you through the process step by step. Take advantage of our online promotional storage rates and reserve online now with our no-risk storage hold. Metro Self Storage on Knapp Street offers commercial storage units in Sheepshead Bay near the main shopping areas and thoroughfares of Emmons and Ocean Avenues. Our business storage units and prices, covered loading, and free package acceptance and delivery are all designed to make your business storage solution simple. Metro is located at the corner of Knapp Street and Voorhies Avenue next door to the Brooklyn Yacht Club, and proudly serves Brooklyn businesses located in nearby neighborhoods including Sheepshead Bay, Brighton Beach, Manhattan Beach, Gerritsen Beach, Gravesend, Madison Park, and Marine Park in Brooklyn. We're also close to Neponsit, Rockaway, Roxbury. Is your Brooklyn micro apartment too small for everything you own? Maybe the closets in your Brooklyn Brownstone are overflowing. While our nearby neighborhood homes are steeped in architectural history, and Brooklyn offers a multitude of apartments for rent, both types of homes can lack adequate storage space for today’s modern lifestyle. Whether your home is bursting at the seams with seasonal clothing, sports equipment, or that heirloom china set that you use once a year, call us today to find the perfect storage solution. Metro Self Storage offers an outstanding team of storage professionals who will help you find the perfect storage solution at our climate-controlled storage facility on Knapp Street in Brooklyn.